Turkey welcomes New Zealand's decision to continue to designate the PKK, along with its other titles, as terrorist organizations, the Turkish Foreign Ministry said in a statement Friday. New Zealand published Friday its updated list of foreign terrorist organizations, among which were the so-called executive council of the Kurdistan Communities Union (KCK), which serves as an umbrella body of the PKK terrorist group, and KONGRA-GEL, the legislative arm of the KCK. 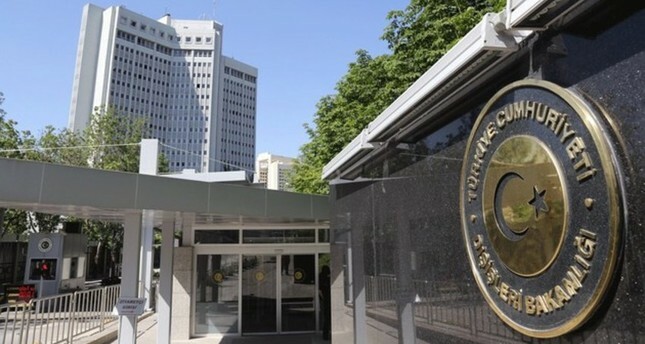 Reiterating that Turkey emphasizes the importance of cooperation in the global counterterrorism fight, the ministry said it was crucial not to make any distinctions among terrorist organizations while trying to combat the terror threat. "We expect the continuation of increased support of New Zealand and our other partners in our fight against the PKK," it said. In its more than 30-year terror campaign against Turkey, the PKK — listed as a terrorist organization by Turkey, the U.S. and the EU — has been responsible for the deaths of some 40,000 people, including women and children.